Heat oven to 400° F. In a medium bowl, combine the beans, corn, and salsa. 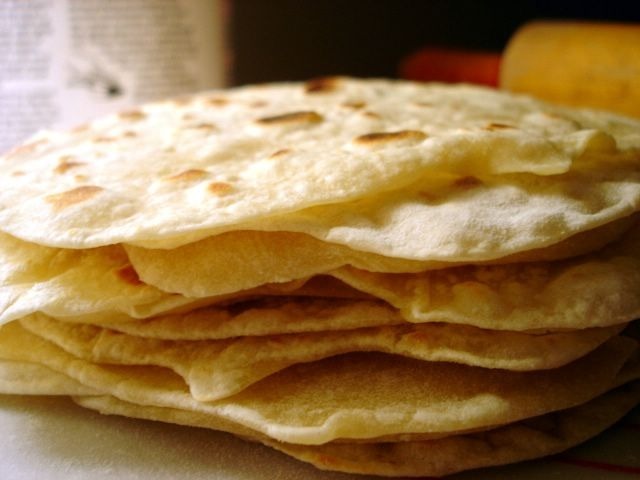 Place 4 tortillas on a parchment lined baking sheet. Sprinkle the tortillas with half the cheese. Top with the bean mixture. Sprinkle with the remaining cheese; top with the remaining tortillas. Bake the quesadillas until the cheese has melted, 5 to 7 minutes. Transfer to a cutting board. Meanwhile, in a large bowl, combine the onion, cilantro, salt, pepper, lime juice, and oil. Add the lettuce and toss. Cut each quesadilla into 6 wedges. Serve with the salad.